The façade of the Shack is perhaps one of Tracy’s greatest works. 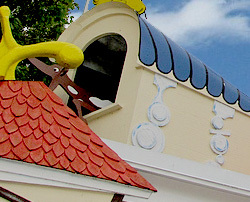 It stands almost five stories tall, is painted with bright and whimsical colors, and is adorned with some of Tracy’s most ornate designs and illusions. four decades and has not changed from its original design. The façade as it looked during the 1970s. Tracy’s go-to ride system was the versatile and reliable Hush-Puppy Car. The bright-colored car bodies complement the overall look of the entire façade. 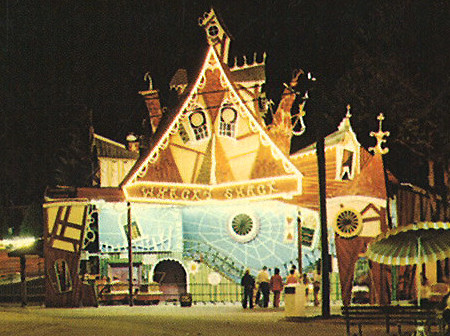 Although the ride’s façade is truly “whacky,” it has been mostly unchanged during its 40 years of existence. 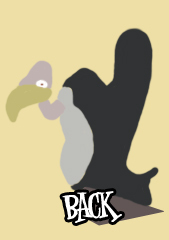 All of Tracy’s original concepts have been well-preserved and the colors he originally used are consistent with the colors seen on the façade today. In the mid 2000s, the entire façade was brought down to ground level with a crane and rebuilt using pressure treated wood due to deterioration of the original cedar wood, but the management was careful in making sure they recreated the structure using Tracy’s original templates and designs. To help assure the façade’s longevity, Perry Duncan initiated a plan to add asphalt roofing shingles under the decorative fiberglass shingles to eliminate wood rot. This plan, he said, would help water run off of the building rather than down the back and front of the structure causing accelerated weathering. 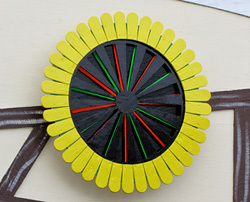 One of several motorized rotating flower illusions. The flower near the ride’s dip still displays original paint from 1970. 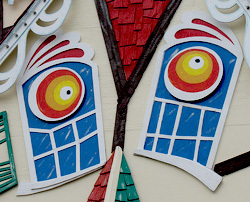 The façade comes to life when the ride opens as the “eyes” on the front of the building begin spinning. 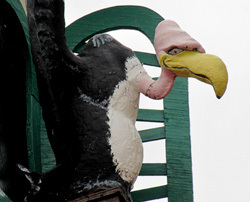 A Tracy icon, a vulture sits on a perch near a window on the façade. One of several motorized scrolling window illusions. This illusion demonstrates Tracy’s ability to create great effects using very simple concepts. 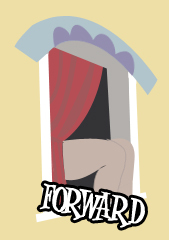 Tracy’s original “Legs in the Window” gag is still present on the Shack. Although the original legs were removed several years back because they had deteriorated, a new set was quickly developed and installed. Tracy’s original “Leaping Dog” gag is still present on the Shack. Although the original dog was removed several years back because it had deteriorated, a new dog was quickly developed and installed. 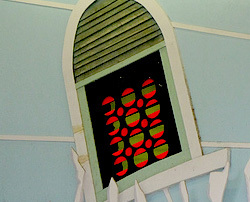 Most of the artwork in the ride’s loading area, including the green clapboard and the flower illusion still show the original paint and have been untouched and unaltered. Naturally, the designs in the loading area have been preserved tremendously over the past four decades as it’s under cover and out of the elements. 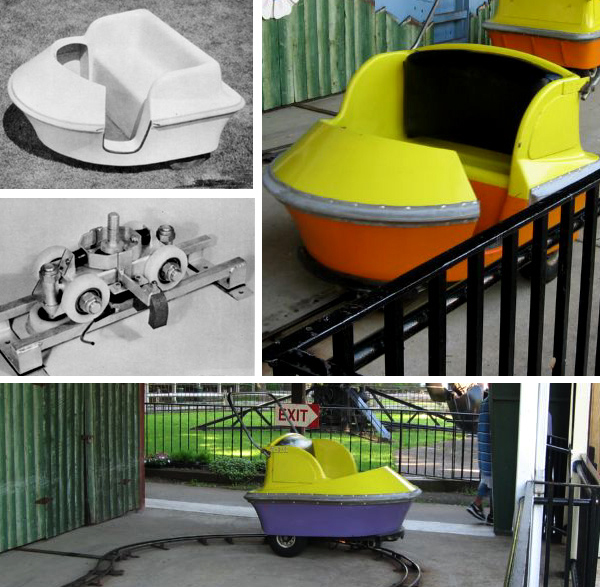 Careful observers of the loading area will notice where the dip in the front of the ride was modified from its original design in the early 1980s, but the contour of the green clapboard outlines where the original dip once was. The Shack’s façade is indeed a sight to see and warrants a few snap shots by any Bill Tracy enthusiast. Original concept drawing for the façade of the Shack produced by Bill Tracy himself.